WordPress is probably the most popular platform out there for hosting a blogging site. Currently, the tool is being used by over 6 million websites across the globe. WordPress offers a number of features that you can use to customize your website. Moreover, the tool is simple to use and you can set it up yourself. WordPress can be utilized to the utmost only when you go for a reputed hosting provider. When you choose this service, all technical issues will be taken care of and if problems arise, they will be dealt with by the provider. A WordPress hosting provider will hoe you a domain name, space and a platform. A WordPress theme defines the way your website looks. You can install any theme and customize it as per your wishes. By the way, when doing this, you do not have to modify the content, and the software will do that all by itself. Plug-ins help you improve the functionality of the default software. These are available for caching, shopping carts, SEO optimization and other purposes. The administrator control provides you access to these plug-ins. Widgets can be used for modifying your sidebar content by simple drag and drop. The underlying HTML or PHP code need not be changed. This is probably the most popular type of WordPress hosting plan. Designed for beginners, it is extremely affordable because a number of websites are hosted on the same server. However, you will have to bear resource limitation, and if your website requires more load, you will have to upgrade to a a different plan. In a WordPress VPS hosting plan, server is shared but you still have a substantial amount of control. You can configure your website for different software requirements without affecting other websites hosted on the same server. This hosting plan is suitable for high traffic blogs and medium sized businesses. This option provides you with full control and so is pricey. It is a good choice only when you want to put up a bigger website. 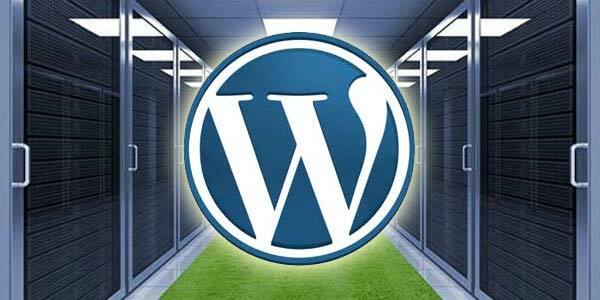 A managed WordPress hosting plan is the most expensive option, but is the easiest to handle. Your provider will optimize your website, make it secure and perform regular backups. WordPress hosting makes it easy for you to handle all the technical issues. Your provider will install everything for you and make sure that you have fulfilled the requirements of WordPress website. If any add-ons are needed, they will also install these on your behalf. WordPress offers unlimited custom features which you can use to make your website more attractive. From themes to templates, the available options can completely alter the way your website looks. WordPress provides you with an interface that is extremely simple to use and can be utilized even if you do not have technical know-how. Though there are many providers that offer a number of features, availing all of them can incur extra costs. In such a case, you can go for undamaged WordPress hosting, but then you will have to deal with all the technicalities yourself. If you opt for shared WordPress hosting or an low quality provider, performance may be an issue at times.